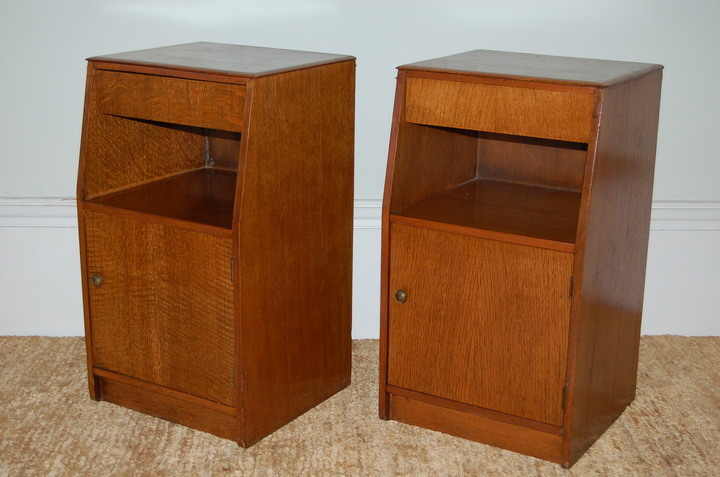 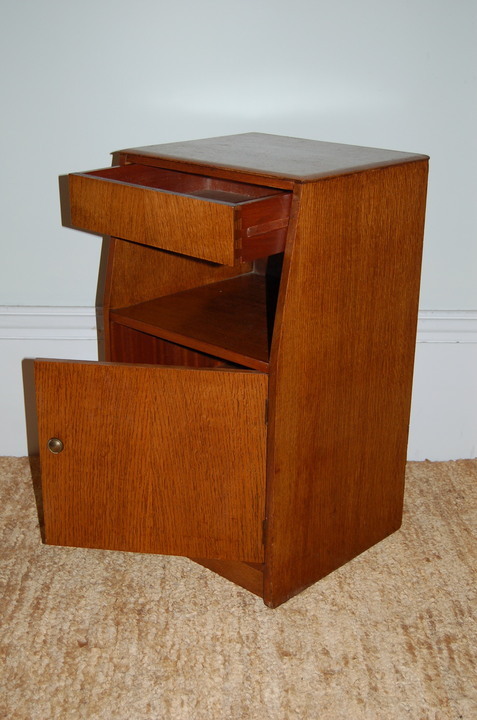 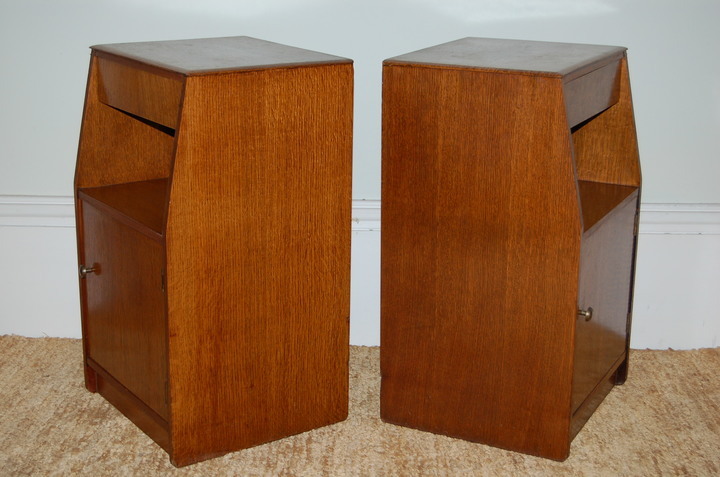 Simple pair of oak bedside cabinets - drawer over open shelf with cupboard under. 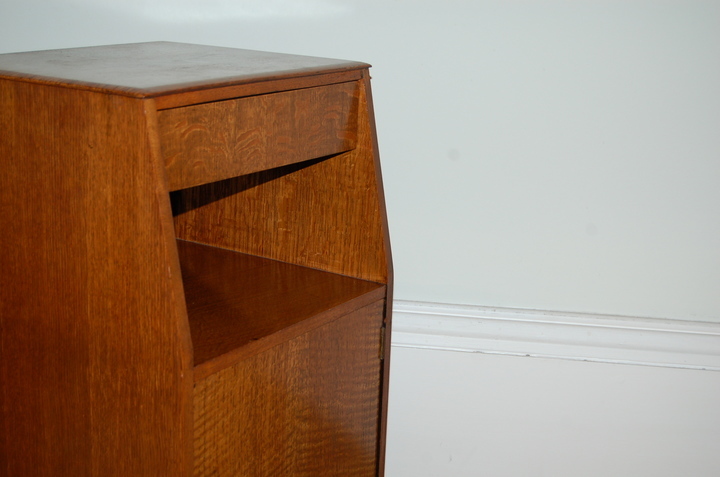 The upper sides chamfer back from above the cupboard so the top is smaller than the base. 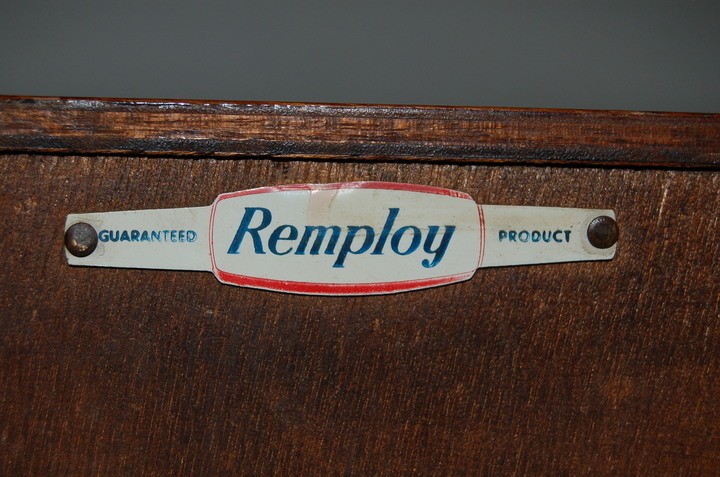 Manufactured by Remploy, with label on back of both.